The Designer Office are a team of highly experienced office furniture managers that specialise in the refurbishment of offices in the UK to give your office more of a designer look and feel. This is achieved by utilising our fantastic range of designer, contemporary & quality office furniture and the experience and expertise of our team. 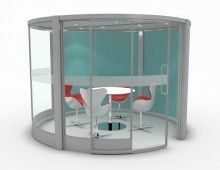 The Designer Office offer a fantastic office fit out & office refurbishment service using all the latest designer office furniture & office interiors to give you a brand new designer styled office within your budget. 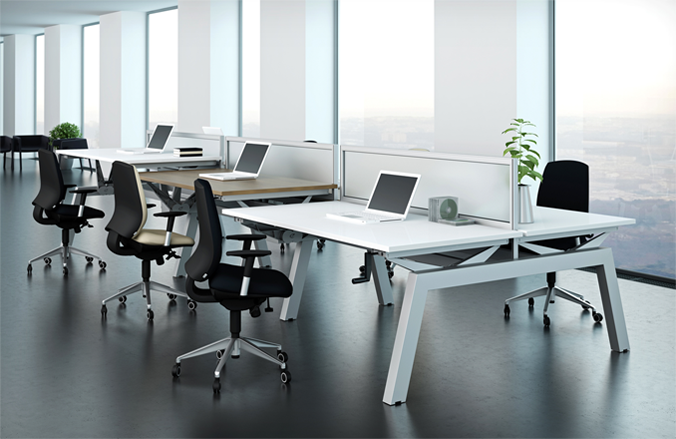 We work closely with a wide range of UK based manufacturers & suppliers to ensure you get the finest furniture and equipment to improve the aesthetics of your office at the lowest price possible. We are a furniture dealer, meaning we can get you HUGE DISCOUNTS on the manufacturers’ RRP that nobody else can. We pride ourselves on the furniture, the refurbishments we carry out we sell and the service we provide. That is why our customers are happy to recommend our range of designer office furniture to their clients, friends & family. Here at The Designer Office, our customer service is as important to us as our high quality refurbishments & fit outs, which is why we offer a FREE office design and planning service alongside our free delivery and installation service. We are based in Birmingham which means we are centrally located to supply our furniture to any mainland UK location. This also means we can offer Free Delivery & Installation on over 95% of our orders. 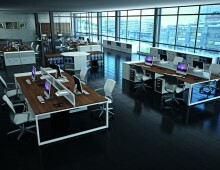 We offer a wide range of designer, contemporary & quality office furniture including office desks, office chairs, seating, storage, contemporary Office furniture and educational furniture. 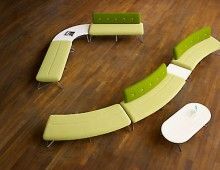 For Free design, planning, delivery & installation on your office refurbishment project contact a member of The Designer Office team on 01902 886748 to get a free quotation or to ask any questions about our furniture. We work closely with a wide range of UK based manufacturers & suppliers to ensure you get the finest furniture and equipment to improve the aesthetics of your office at the lowest price possible. Here at The Designer Office our customer service is as important to us as our high quality refurbishments & fit outs, which is why we offer a FREE office design and planning service alongside our free delivery and installation service.